Alcohol is associated with so many benefits and harms that it's hard to know where to start talking to patients about using it. One place might be alcohol misuse and abuse. Teach patients where they fall on the continuum of drinking behavior. Elderly patients may have many concerns on their mind. Maintaining their independence and managing their finances are two. But when does worry become anxiety? And how can internists not only manage chronic diseases but also ensure that patients are able to care for themselves?. Most complaints of memory problems aren't related to cognitive impairments, and as such they can be alleviated with a few simple tips. A gay physician offers advice on how to adapt a medical practice to make it more accessible to gay, lesbian, bisexual and transgendered patients. The effort begins in the waiting room and continues through a sometimes complex set of needs for this population. Members of the American College of Physicians met with the leaders of subspecialty societies to develop ways to better coordinate care, redesign medical education and support the medical profession. As a direct result of ACP's advocacy efforts, internists will see higher Medicare and Medicaid payments and relief from intrusive administrative requirements. A reader questions blood pressure measurement as it is performed clinically and during medical research. 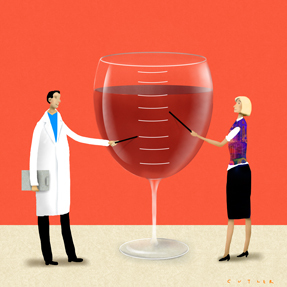 Learn the current recommendations on alcohol use and abuse, the reasoning behind them, and how doctors can best talk to patients about the subject. Learn how to recoup the increased reimbursement offered in the 2013 Medicare Physician Fee Schedule by using two new codes and modifications. A 67-year-old man is evaluated for a 3-year history of low back pain, which is of moderate intensity and worsens during activities, and a 10-year history of neck pain accompanied by 20 minutes of morning stiffness. Following a physical and neurological exam, and a radiograph of the spine, what is the most likely diagnosis?.